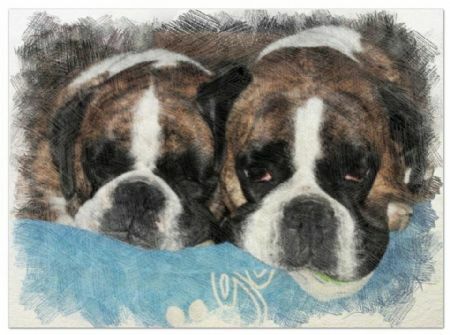 Lucy was the matriarch here at Boyer Boxers. She had the best temperament which she passed on to her puppies. Lucy loved puppies both hers and anyone else's. Lucy passed away in 2014 and is still missed by us all here.